Mr. Abegunde holds a Bachelor of Science degree from the University of Ibadan. 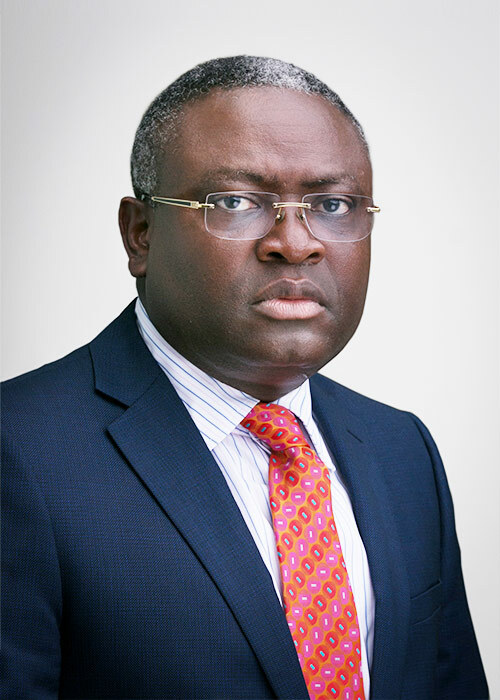 He also has an MBA from the University of Ilorin and is a fellow of the Chartered Institute of Stockbrokers (FCS). He has varied experience in manufacturing, banking and the capital market. He has held senior positions in Brand Management, Credit Appraisal, Fund Management, Stock Broking and Capital Issues. He is the Group Managing Director of Meristem Securities Limited. He also sits on the Boards of Berger Paints Plc and e-Tranzact Nigeria Plc. He is a council member the NSE and Elizade University. He is also the Pro- Chancellor of Bowen University. He joined the Board of Eterna Plc as a Non-Executive Director in October 2016.